Grease, dirty and carbon rests are inevitable consequences you can find every day in industrial kitchens. Until today, the staff was in charge of spending many hours scrubbing and washing all the kitchen tools. 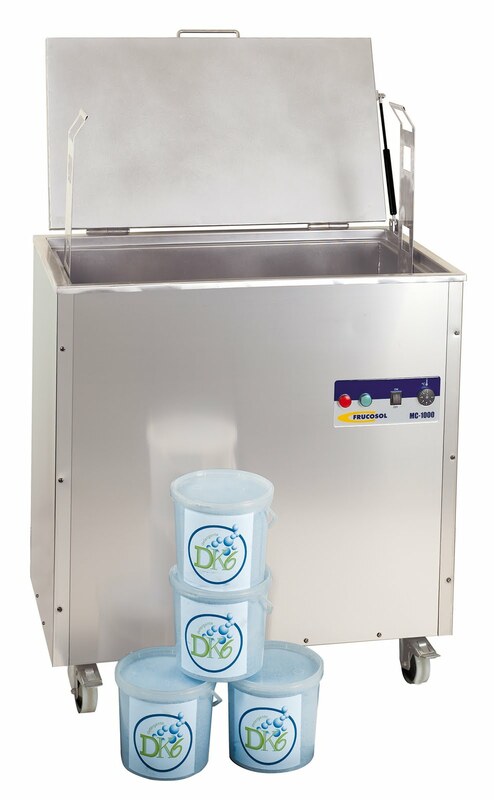 This new system of cleaning will finish with the hard job of removing the grease by hand from all your kitchen tools: filters, trays, pots, pans … With our decarbonisers you will save time, staff’s costs, hot water, and some other cleaning products. The temperature of the decarbonisers is controlled with a thermostat. The cleaning level will be kept for one month, 24 hours every day. The only thing you will have to do is fill it with water, add the detergent DK-6, close it and wait until the temperature of working is reached. Once it happens, the machine will be ready to be used. These Decarbonisers are the final solution for the problem of the grease in your kitchen tools. This new system gets an efficient cleaning and the highest hygiene. The Decarbonisers are the perfect tool to clean and disinfect. Its cleaning rate involves a complete disinfection in the industrial kitchens, something it will help you to fulfill the cleaning standards and rules: ISO2000, ISO22000, ISO14001 Y APPCC. 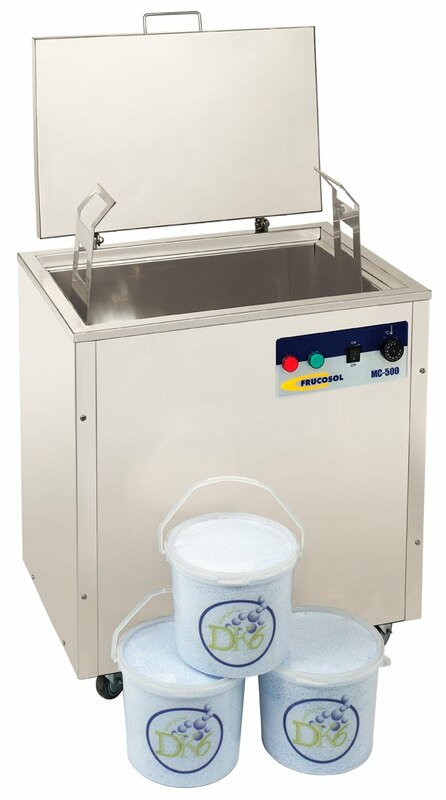 Our grease removing tanks are repaid very easily and become the most efficient solution to clean pots, trays, filters, and many other tools, even the bigger ones. In this way, we will have a clean, organized, and under good conditions kitchen.